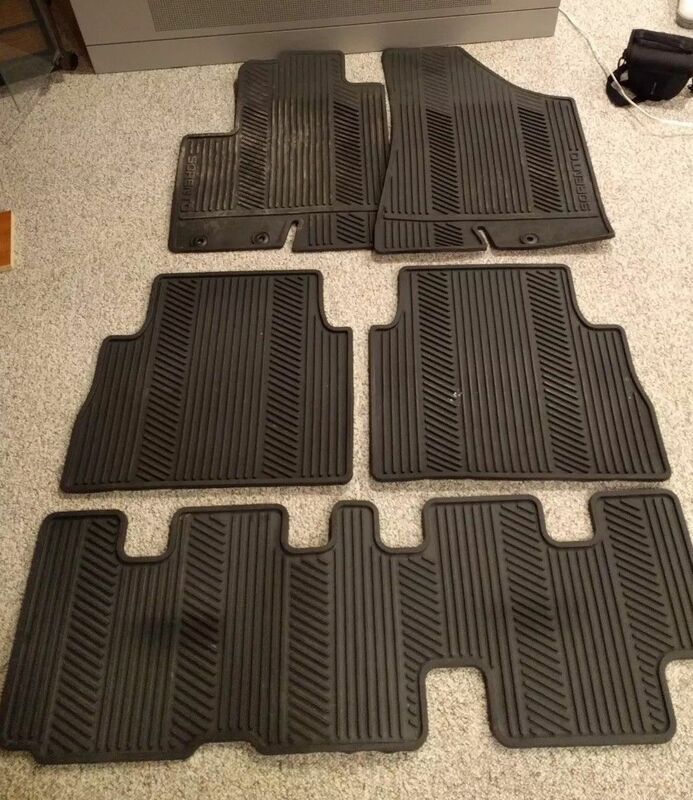 Up for sale is a full 5 piece set of all-weather floor mats for 2011 2012 2013 and may be later Kia Sorento models. This is for 3 row model. They are in great shape. No rips or tears. Coming off my 2013 Sorento SX. Free shipping within 48 states. Please contact with any questions.